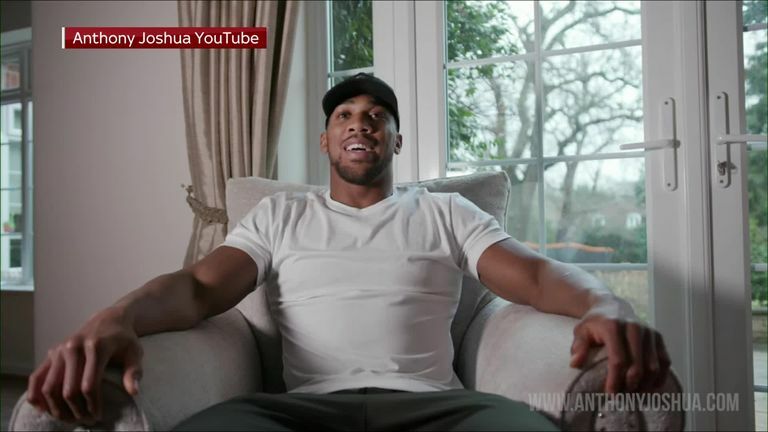 "It will be an exciting fight, I will leave nothing to chance, and plan on dismantling Miller in style to make my mark"
Anthony Joshua has announced his long-awaited US debut against Jarrell Miller and vows to produce an explosive performance at Madison Square Garden on June 1, live on Sky Sports Box Office. Britain's unified champion stopped Alexander Povetkin in September at Wembley Stadium, extending his perfect professional record to 22 victories with 21 knockouts, and he next defends his WBA 'super', IBF and WBO belts against Brooklyn's unbeaten 'Big Baby' Miller at the iconic New York venue. Joshua will follow in the footsteps of heavyweight greats such as Joe Louis, Joe Frazier, Lennox Lewis, Evander Holyfield and Muhammad Ali when he crosses the Atlantic to battle Miller at 'The Mecca of Boxing'. "June 1st, I am heading to 'The Big Apple' and I plan to embrace the culture and leave with an appetite for more," said Joshua. "I will be fighting Jarrell Miller at the legendary Madison Square Garden. "It has been an honour and a blessing to fight at some of the best venues in the world at home in the UK, not least Wembley Stadium, but the time has come to head across the Atlantic and defend my heavyweight titles in the USA. "I am looking forward to taking on another challenge with a good boxer and a brilliant talker. "It will be an exciting fight, I will leave nothing to chance, and plan on dismantling Miller in style to make my mark." Miller has defeated former world title challengers Gerald Washington, Mariusz Wach, Johann Duhaupas and Tomasz Adamek on his way to 23 victories, including 20 stoppages, and intends to ruin Joshua's first appearance in America. This is the fight that I've been chasing all my life. On June 1, I'm going to achieve the thing I was born to do and win the heavyweight championship of the world. "AJ is making a huge mistake coming over here to fight me in my own backyard," said Miller. "He wants to announce himself on the American stage, but all he's doing is delivering me those belts by hand. It's dog eat dog in the ring and this dog has got a bigger bite. He'll be leaving New York empty-handed. "This is the fight that I've been chasing all my life. On June 1, I'm going to achieve the thing I was born to do and win the heavyweight championship of the world. 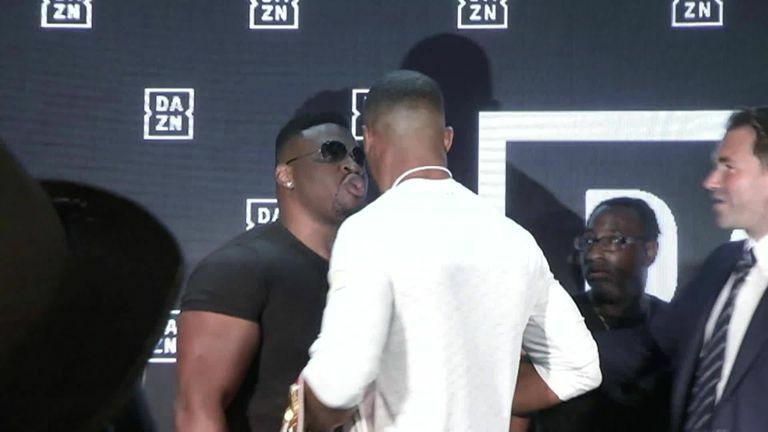 The formidable 300lb challenger sparked a heated confrontation with Joshua at a press conference last year, and has continually called for a fight after linking up with promoter Eddie Hearn. "It's been an eventful few months, but I'm delighted to finally announce that Anthony Joshua will make his American debut at the iconic Madison Square Garden on June 1," said Eddie Hearn, Matchroom Boxing managing director. "AJ has created an incredible 'Lion's Den' atmosphere in the UK and we plan to bring that energy to New York on a card that will be stacked with British versus American talent. "When you look at the heavyweight greats that have graced the renowned 'Mecca of Boxing' the names of Ali, Frazier, Marciano and Tyson stand firm, and June 1 will be a moment when the world will witness AJ's turn. "Jarrell Miller is someone I know well having been involved in his last four fights in America. I know how much he wants this fight and I know the belief that him and his team having in beating AJ. They went to head to head for all the wrong reasons last summer and next week they will do it again as we get ready for the big build up, for a momentous moment on June 1st at MSG. "He is a mountain of a man with an incredible work-rate and he will get the chance to challenge for four world heavyweight belts in his backyard this summer. "They went to head to head for all the wrong reasons last summer and next week they will do it again as we get ready for the big build up, for a momentous moment on June 1st at MSG." Adam Smith, Head of Sky Sports Boxing, said: "We are delighted to be showing this massive occasion on Sky Sports Box Office and our team will provide every step of an enticing build-up. "Every boxer wants to conquer America and the time has come for AJ at the iconic Madison Square Garden. "It's been the home of countless classics, from Ali v Frazier to the controversial bout that was called a draw between Evander Holyfield and Lennox Lewis 20 years ago. It's another chapter in the Joshua story." Watch Anthony Joshua defend his world heavyweight titles against Jarrell Miller at Madison Square Garden in New York on June 1, live on Sky Sports Box Office.